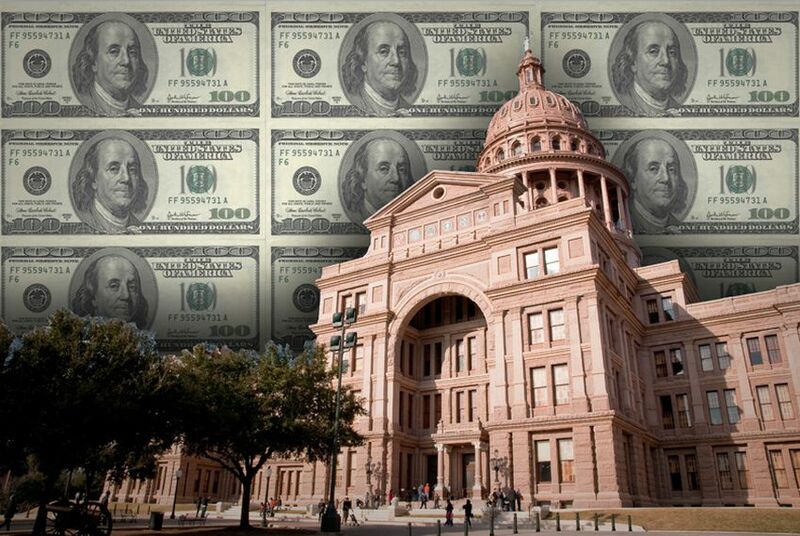 The 15 largest donors to Texas politicians and PACs gave a total of $4.7 million in the first six months of 2011, according to a Texas Tribune analysis of Texas Ethics Commission filings. The biggest beneficiary of their largesse: the Texans for Lawsuit Reform Political Action Committee. Eleven of the top 15 were individuals or families, many of whom directed the bulk of their generosity to TLR. Harold Simmons of Dallas, the billionaire owner of Contran Corporation, donated more than $965,000 in total, more than any other individual or entity. Simmons also made the single largest contribution: $500,000 to TLR (he also gave $100,000 to Attorney General Greg Abbott, the politician who received the most from the top 15). Bob Perry of Houston, the CEO of Perry Homes, gave $579,500, including $250,000 to TLR. Collectively, the members of the Weekley family (of David Weekley Homes in Houston), gave $312,900; a majority of that amount — $300,000 — went to TLR. None of the top nine donors gave a penny to TLR's nemesis on tort reform and other battles, the Texas Trial Lawyers Association, but No. 10 did: Anthony Glenn Buzbee, an attorney at Buzbee Law Firm in Houston, gave TTLA $200,520. The remaining four of the top 15 donors were businesses, associations or law firms that made the list by donating large sums of money to their respective PACs, not by contributing to actual candidates. The Texas Association of REALTORS Issues Advocacy Fund is second overall on the list with a single contribution of $738,482 to the Texas Association of Realtors Issues Mobilization PAC, making the transaction more of a cash transfer than a political donation. Texas politicians and PACs regularly report their financial activities to the Texas Ethics Commission and are required to provide an itemized list of each individual contribution to their cause. Individuals and PACs file reports every six months in nonelection years and more frequently in election years (the most recent report was filed on July 15). To see who gave what to which candidates and which PACs in the first half of the year, click here. Harold Simmons and Woody Hunt are major donors to The Texas Tribune. The Texas Medical Association, the Texas Trial Lawyer Association, Energy Future Holdings and Fulbright & Jaworski are corporate sponsors of the Tribune.